In 1993, Saveliev founded the AVS Group — today, one of the largest holding companies in the Urals. 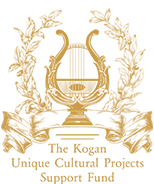 Its subsidiaries include leading Urals and Russian development, logistics, financial, trading, manufacturing and service enterprises. Collectively, these employ over 4000 people and operate 74 Russian and 13 overseas offices. 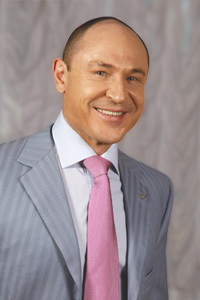 A major patron of the arts, a philanthropist and a public figure, Valeri Saveliev is a Vice President of Sverdlovsk Regional Union of Industrialists and Entrepreneurs, a trustee of the Urals Philharmonic Orchestra Charitable Support Foundation, and the chairman of the Sverdlovsk Regional Volleyball Federation. For his active involvement in charity, he was awarded the Order of the Third Degree by the Russian Orthodox Church of the Holy Prince Daniel of Moscow and the Order of the Third Degree by the Russian Orthodox Church of Saint Seraphim of Sarov. 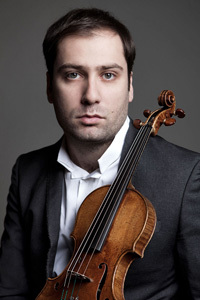 Dmitry Kogan regularly performs in prestigious world venues, such as the Musikverein Golden Hall of Vienna Philarmonic in Austria, the Moscow Chaikovsky Conservatory Hall in Russia, the Pillar Hall of the House of Unions in Russia, the Menton Classical Musical Festival in France, and the Montreux Jazz Festival in Switzerland, among others. Kogan dedicates much of his time and efforts to reviving the status of classical music in modern society, as well as performing charity work.